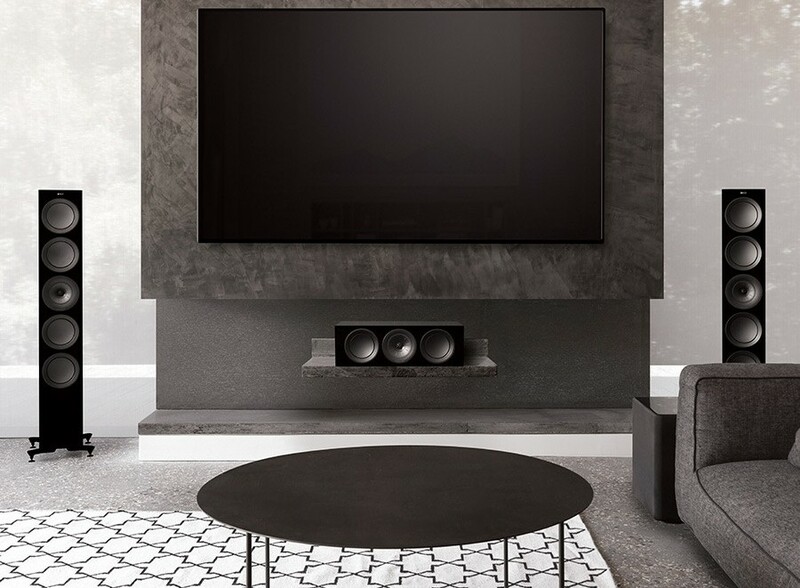 R2c is the dedicated centre speaker from the completely redesigned KEF R range ideal paired with any bookshelf or floorstanding speaker model in the range. Earn 849 loyalty points when you order this item. 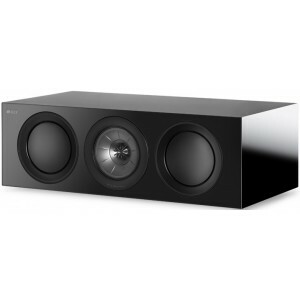 KEF R2C centre speaker is arguably the hardest working component in a home theatre environment. It aids in driving the story by managing vocal duties and most on-screen action. With the same Uni-Q as the main speakers, featuring a 5" midrange and 1" aluminium dome tweeter, R2c recreates every nuance, whilst matching the rest of the range tonally. The twin 5.25" bass drivers allow the R2c to dig even deeper, ensuring you don't miss a beat. Putting the tweeter in the aural centre of the midrange cone brings the acoustic model of a single point source nearer to comprehension. The new R Series profits from a new 12th generation Uni-Q developed through extensively using KEF’s in-house simulation and investigation tools. KEF’s engineers drastically reduced colouration through lowering resonance in the microscopic gaps between Uni-Q’s distinct components. The result is cleaner, more precise sound that makes stereo imaging far more authentic. Port design is critical to producing deep, articulate bass so the port hosts inventive flexible walls. Using computational molten dynamics, the flare and silhouette of each port is intended to delay the arrival of turbulence, while the flexible walls prevent longitudinal interference from colouring the midrange. Derived from the Reference Series, Shadow Flare is an advanced method of decreasing harmful cabinet deflection for subtle high-frequencies. Shadow Flare is a wisely profiled conversion surface which prolongs the waveguide result of Uni-Q. The tweeter no longer has a line of sight of the cabinet edges, creating a ‘shadow region’ at the points where the potential for diffraction is highest. The performance is vastly improved in detail, specifically the subtle nuances of percussive sounds.